Working with other people from Barcelona's international community in a safe and supportive environment can be a unique opportunity for growth. 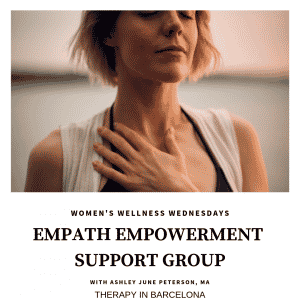 Therapy in Barcelona regularly hosts collaborator workshops and groups on topics including: mindfulness, grief and loss, empath empowerment, emotions and families, cultural competence, wellbeing, and assertiveness. 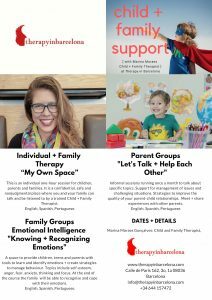 In our expat therapy groups you will benefit from a supportive atmosphere with other expats guided by a skilled therapist with expertise in, and passion for, the topic. Group therapy is an effective and powerful option for therapy. 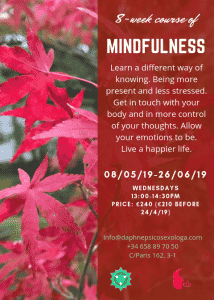 At Therapy in Barcelona, our groups provide a safe and non-judgmental setting to explore personal issues with others who share the same struggles and experiences as you. 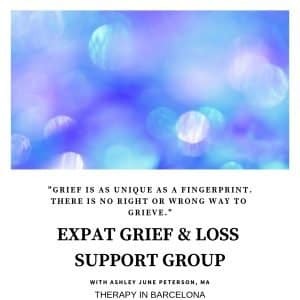 This is particularly useful for Barcelona’s expats because of the unique experiences we share of being removed from our regular supports, culture and language.